Script breakdown sheets are the bane of a PA’s life. 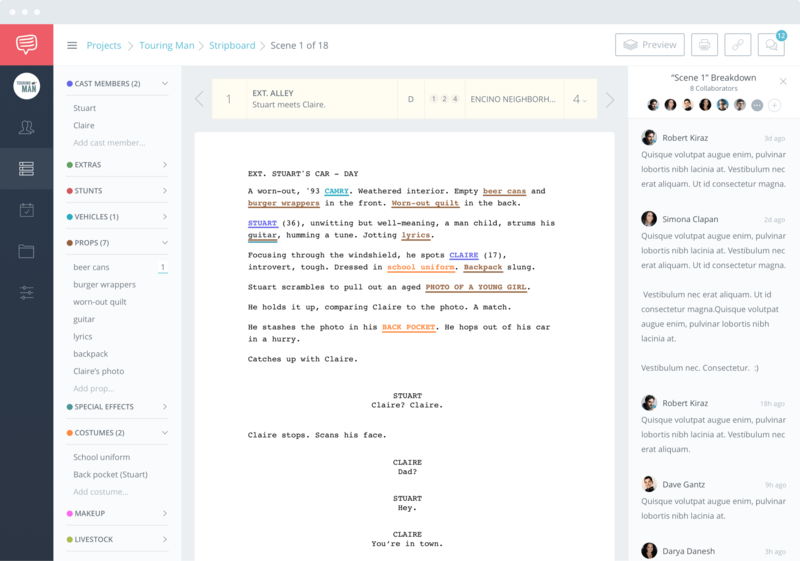 Nearly all screenwriting programs offer script breakdown software–allowing you to generate reports on characters, props, VFX, locations, you name it. Final Draft is no stranger. 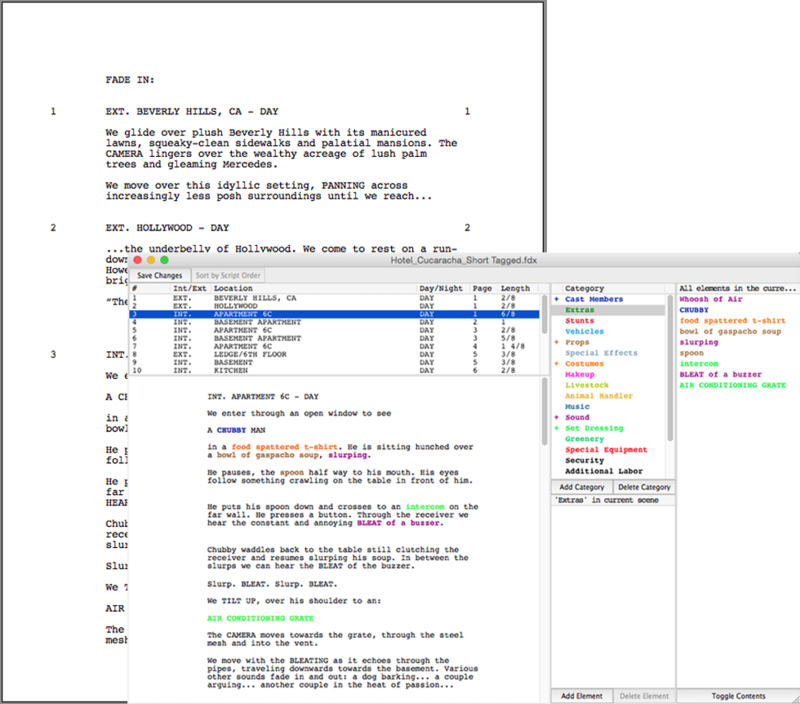 In this article, we’ll break down breaking down a script using Final Draft Tagger. You’ll need to have Final Draft before using it. But if you don’t, we’ve got a script breakdown template that works for any script format. You’ve just finished your script in Final Draft. It’s ready for production. Now what? After you’ve downloaded Final Draft Tagger, open it up. You’ll see three empty panes in front of you, but not for long. Under “File,” click “Import Script.” You’ll watch as your file loads, which can take anywhere from seconds to as long as it took to write the damn thing. You’ll now see three panes in front of you. On the top, a list of your scenes--marked with an INT. or EXT. Clicking a heading opens the scene in the below. On the right you’ll see a list under “Category” listing anything from Cast Members, to Animal Handlers. For more information on what classifies as each, click here. From there, it’s a game of highlighting and color coordination. You simply highlight the element you want reported (maybe “old oak desk”), click its category (in this case “props”), and bam! You’re one step further on your scene breakdown. 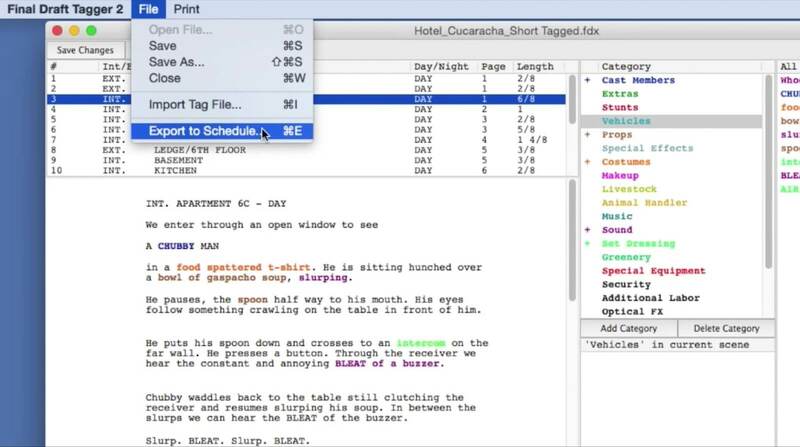 Without an automatic script reading software, you have to be extra diligent to make sure everything is marked. Complete this about a million times. 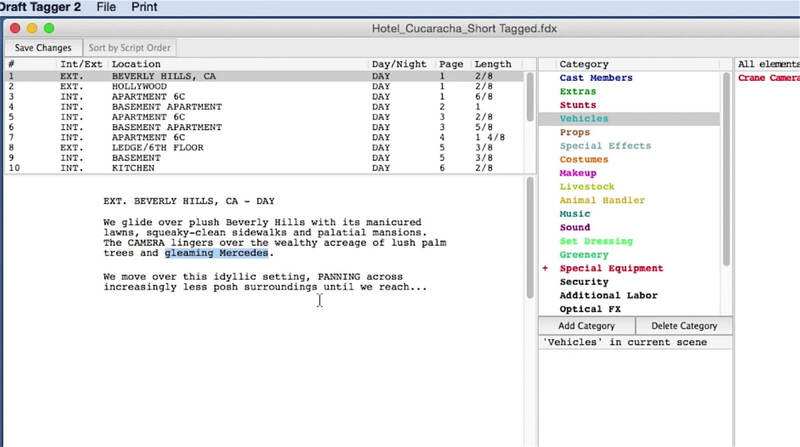 Once you’ve tagged every last detail, it’s time to generate your report. Final Draft will offer you a barrage of options, notably formats for EP scheduling. That schedule can be sent to each department head who can turn each element into a reality. Although tagging elements is cumbersome, your department heads and producers will be forever grateful when receiving their script breakdown sheets as early as possible. Unless you have a Final Draft discount code, this film production software can be a tad pricy. If you’re just starting out or trying to save money for visual effects, download our free script breakdown template. Unless you have a Final Draft discount code, this film production software can be a tad pricy. If you’re just starting out or trying to save money for visual effects, check out StudioBinder’s script breakdown software. Intuitive, sleek, and smart, StudioBinder’s breakdown tools allow you to stay in your flow longer. Oh, yeah. You can also collaborate with your team on it. Help! I’ve tagged my script beautifully and it took hours but I don’t regret it at all. BUT I’ve just added a new scene – no 1 too! So – all are now renumbered. Sc2 becomes Sc3 etc. What to I do? I don’t want to redo tags all over…. HELP!